At JMB Travel we specialise in tailor-made travel to Bulgaria and the Balkans: Greece, Turkey Serbia, Macedonia and Romania. We like to listen to our guests and we take a personal care to make their ideal holiday a reality. So what does it mean? We had the pleasure of welcoming to the Central Balkan a family from the UK. Geoff and his wife were busy professionals who wanted to enjoy a special Summer family holiday with their children and enjoy their hobbies. Geoff and his son were into birding so we organised a nature discovery walk to see the migrating birds in the Central Balkan. We also organised a river picnic, horse riding, pottery and a beach holiday. Geoff also had the habit of practicing boxing wherever he travels so we matched him up with a professional boxing trainer for a few bouts. He loved it! All the family had a great time enjoying their favourite hobbies together and discovering new ones. We pay special attention to all the needs of our guests. We welcomed one family from the Gulf. Ahmed’s mother needed a hip replacement operation that is affordable in Bulgaria. We found the best orthopedic surgeon in Bulgaria and the operation was a success. The entire family stayed for several weeks to enjoy their first ever real winter holiday and snow experience whilst the mother recovered. During their stay we organised special accommodation for the whole family and found food that is hallal to make sure they feel at home. They came back a few months later during Summer for the second hip operation. This time they discovered the lush green nature of the Bulgarian mountains. They now visit Bulgaria every year for a holiday. 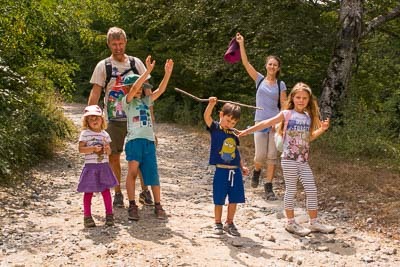 Michele and his family from Italy visited Bulgaria for a family holiday. The mother and daughter loved horse riding whilst Michele and his son enjoyed cycling. So we found the best region where they could practice both horse riding and mountain biking together. 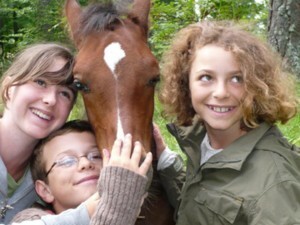 We organised trail riding, nature discovery activities, mountain walks, picnics in nature and BBQ near the river. 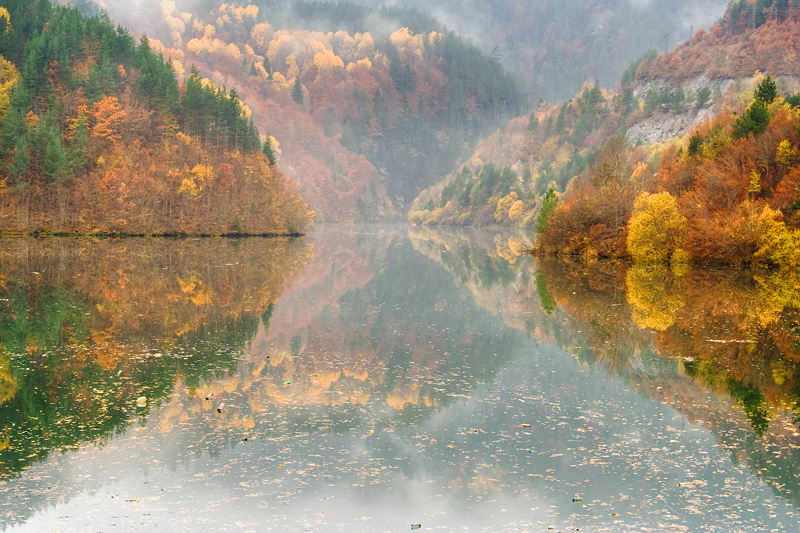 JMB Travel is proud to organise specialised tours of Bulgaria and the Balkans. A group of Dutch historians wanted to discover the rich history of the Balkans by meeting real people who could share their personal stories to bring this complex region to life. Across Bulgaria, Greece and Turkey we organised meetings with local historians, members of the remaining Jewish community and opinionated journalists to spark a debate about Europe, migration and the current political situation in the region. It gave the historians a unique and personal insight into life in the Balkans today beyond the blanket news coverage of Western media. Ursula from the USA visited us in Bulgaria to celebrate her retirement and practice freely her hobby: knitting and fiber arts. Bulgaria and the Central Balkan especially has unique knitting techniques. In the world of fiber arts it is known for traditional sock knitting. We organised over several weeks a broad range of arts and crafts workshops in different regions of Bulgaria where she could learn from the best craftsmen: sock knitting, weaving, felting, needle-lace, leather making, cheese making and iconography whilst staying with the artisan to discover their world from the inside. We helped her realise her life-long dream. Ursula wanted to replicate this holiday in other countries But told us that we are the only agency in the world that can organise such a specialised fibers arts holiday. JMB Travel is a tour operator and DMC Destination Management Company for Bulgaria and the Balkans. We know that everyone is special and that a holiday is a very important time. 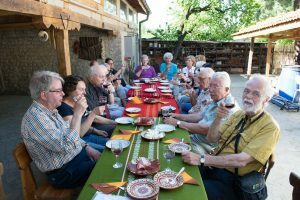 So we listen and tailor the holiday to every personal requirement: food, accommodation, activities and visits, transport and provide a personal contact 24/7 during the guest’s entire stay. Discover the beautiful Rhodope mountains on horseback and walking. Enjoy an active holiday in Bulgaria.